Following on from the launch of their new Windows 8 operating system at the end of last month, Microsoft has this weekend rolled out details for its new Windows 8 “Play To” streaming feature. The new “Play To” streaming function within Windows 8 has been designed and added by Microsoft, to enable users to stream music, photos and videos and media from applications to Xbox and other supported devices on your home network. 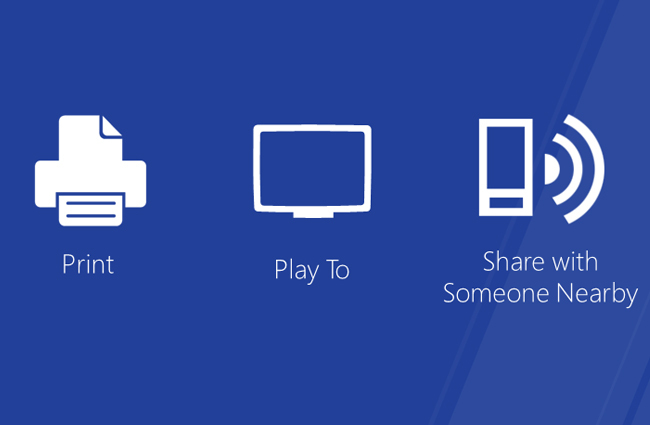 Once sharing is enabled Windows 8 automatically finds and installs supported Play To devices on your network, enabling you to see devices, and manually add new devices from the Devices page in PC settings. – Users: On networks where users enable Sharing (like home networks), Windows 8 automatically discovers and installs Windows Certified Play To devices. The operating system provides a consistent user experience where users can swipe and tap devices from the Device charm to start Play To from any supported app. All the media focused Microsoft apps have a built-in Play To experience including the Music, Video and Photos apps. Even Internet Explorer 10 implements the Play To contract so users can stream photos and HTML5 music and videos from webpages. – Developers: The Play To developer contract is a high-level abstraction of the underlying media streaming technologies (protocols, format matching, transcoding, etc. ), and makes it easy to quickly implement (and test) Play To experiences in a wide range of apps. All apps (and HTML5 webpages in IE) get a basic experience enabled by default – and can then tailor the experience, or opt-out. – Devices: The Play To experience in Windows 8 is designed to work with Windows certified Play To devices. Certified devices provide a consistent and reliable experience. There are a number of consumer electronics companies working on Play To certification for their devices spanning multiple device categories. This includes TVs, set top boxes, speakers and audio receivers. As disclosed at the Electronics Entertainment Expo (E3) earlier this year, Play To receiver support is a new feature that’s been rolled out to about 70 million Xbox 360 consoles as part of this year’s fall dashboard update. Keep an eye on the Windows blog for more device announcements! For full details on how the new “Play To” Windows 8 streaming feature works jump over to the official Microsoft blog post.